The studio aims to create 100 jobs in Abu Dhabi for videogame developers. Videogames do not have a strong presence in a region more known for conflict than creativity. But that hasn't stopped the city of Abu Dhabi from attempting to become a cultural hub for the Middle East. 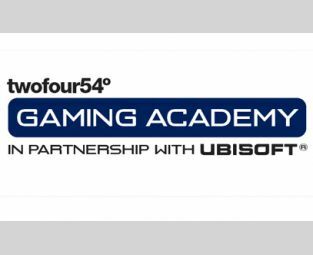 As part of the initiative called the twofour54 Media Zone Authority, Ubisoft will become the first foreign videogame publisher to open a studio in Abu Dhabi this December. The studio will hire and train local talent through a sister "gaming academy" that aims to get people up to speed on making videogames. Over the next five years, the French publisher plans to hire more than 100 developers to create online games that will specifically appeal to the region's cultural mores as well as a worldwide audience. "We are excited by the partnership with twofour54. Their commitment to developing a strong regional gaming industry and their knowledge of the region were the perfect foundation on which to continue building our development teams," said Christine Burgess-QuÃ©mard from Ubisoft. "The demographics and the pool of skilled technical talent in the Middle East and North Africa region are key factors that will contribute to the success of this new studio." twofour54 - so named because Abu Dhabi is located at latitude 24 north, longitude 54 east - has a beautiful campus in the city and the technological infrastructure there has attracted other media companies such as Fox Intl Channels, CNN, BBC, Financial Times, Viacom, C Sky Pictures, Thomson Reuters, Cartoon Network, and Bloomberg. Ubisoft joins this list with its new studio, and here's hoping that we start to see more games made by and for groups that traditionally don't receive a fair shake in the rest of the industry such as Muslims and Arabs in general. Allah knows, they need it.